About 7,000 people will take part in the first edition of a sacred music festival. Indonesian President Joko "Jokowi" Widodo and Vice President Jusuf Kalla will attend. Muslims and Protestants support the event. 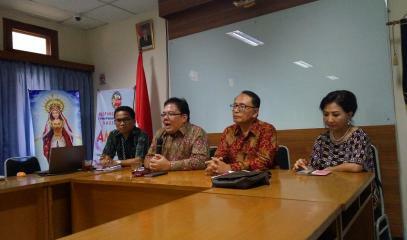 For Mgr Petrus Canisius Mandagi, the festival will allow everyone to admire the true face of Indonesian society. 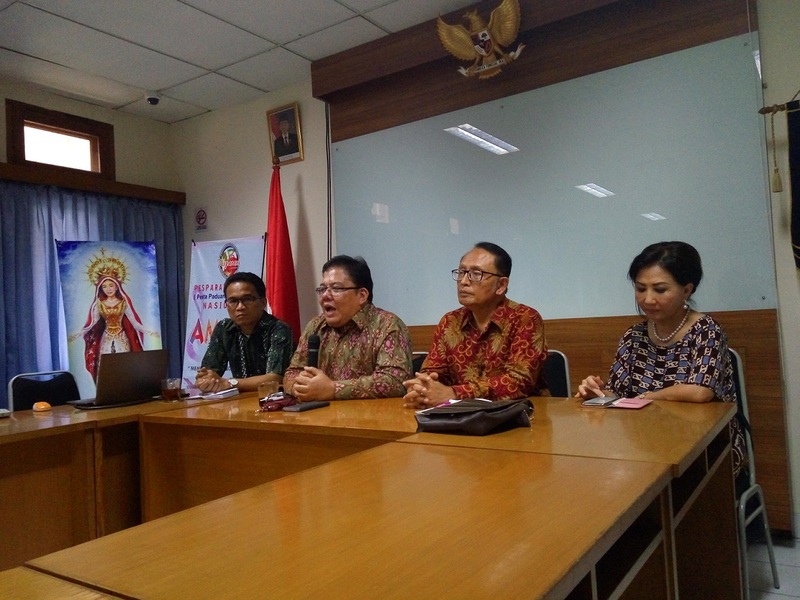 Jakarta (AsiaNews) – The Pesta Paduan Suara Gerejani (Pesparani), the national festival of Catholic sacred music, will be held in Ambon, Moluccas archipelago, between 27 October and 2 November. Its aim is to promote tolerance, dialogue and inter-religious harmony through music. 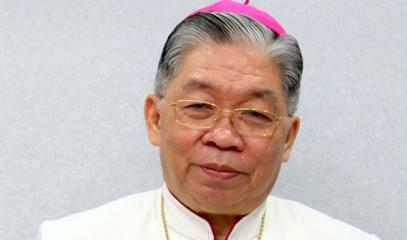 Favoured by the Catholic Bishops' Conference of Indonesia (KWI) with the support of ordinary citizens, movements for dialogue, the central government and the Ministry of Religious Affairs, the event is expected to draw about 8,000 people, Catholics and others, from the country’s 34 provinces. As a sign of its importance, Indonesian President Joko "Jokowi" Widodo has announced his presence. The closing ceremony will be led by Vice President Jusuf Kalla. The choice of the festival’s location, where Catholics are 4 per cent of the population, is indicative of the Church’s will and commitment to peaceful coexistence with Muslim, Protestant, Buddhist and Hindu residents. In the recent past, the city and island of Ambon saw several incidents of sectarian violence between Muslims and Protestants. The arrival in 1999 of ​​thousands of Muslim settlers from other parts of Indonesia, triggered the conflict, which continued until 2002 causing at least 9,000 victims in various incidents. The signing of a peace treaty between the two sides in February 2002 put an end to clashes, but tensions persisted until recently. Prof Adrianus Eliasta Meliala, president of the organising committee, Lp3kn (pictures 1 and 2), said he wished to see all participants "experience the true pluralism of Indonesian society, full of tolerance and harmony". Similarly, Dr H. Abdullah Latuapo, president of the Ulema Council (MUI) of the Moluccas, said he hoped that "all the interfaith groups in Ambon will contribute to the success of the first Catholic Pesparani". The musical event will give Muslims an opportunity to reciprocate for the hospitality and reception reserved by the Catholic community of Ambon to those who took part in the Musabaqah Tilawatil Quran (MTQ), the Qurʾān Recitation Festival of 2012. The Bishop's Residence was used as temporary accommodation for those who attended the event. For the upcoming Pesparani, Muslims will offer the Islamic Centre to accommodate Catholics, seminars and a national conference. In 2015, the Diocese of Ambon also distinguished itself for helping Pesparawi, the Protestant Sacred Music Festival. For this reason, Catholics will have access to two Protestant centres: the Baileo Oikumene and the Christian Centre. For its part, the government will give the Organising Committee the keys to a governmental complex and some squares: Merdeka Square, Police Square in Tanui, Balieo Siwalima Square and Culture Garden Square. “The Pesparani is not only a festival of sacred choirs,” said the prelate, “but also a forum and a place where everyone can admire the true pluralist 'face' of Indonesian society, characterised by great tolerance and social harmony."